Yesterday, I set out to run 19 miles. Although it was later in the morning (around 10:30) than I had ideally hoped to set out (around 8-8:30), San Francisco was still cool. Hoping to run a slightly less hilly route my usual home-toward-Baker-Beach/Golden-Gate-Park route, I set my sights on running 10 miles into Sausalito/Mill Valley, then turning around to run nine and walk a cooldown mile home. The night before (Saturday night), Jesse and I had done a pretty good job of abstaining from alcohol and staying hydrated at my mom’s retirement part, but we did eat some weird (for us) food like mini-quiches, spanakopita, empenadas, and bruschetta, and this definitely affected my stomach and energy levels for the Sunday long run. Jesse and I at my mom’s party. After a bit of foam rolling, stretching, and sunscreen application, I set out toward Sausalito. At first, I had some serious knee problems and could feel myself limping the first few miles. I knew this pain wasn’t a real issue with my knees but instead a problem with my muscles around my knees being too tight. Around the time I made it onto the (tourist-packed) Golden Gate Bridge, my pain subsided substantially and running became more pleasant. 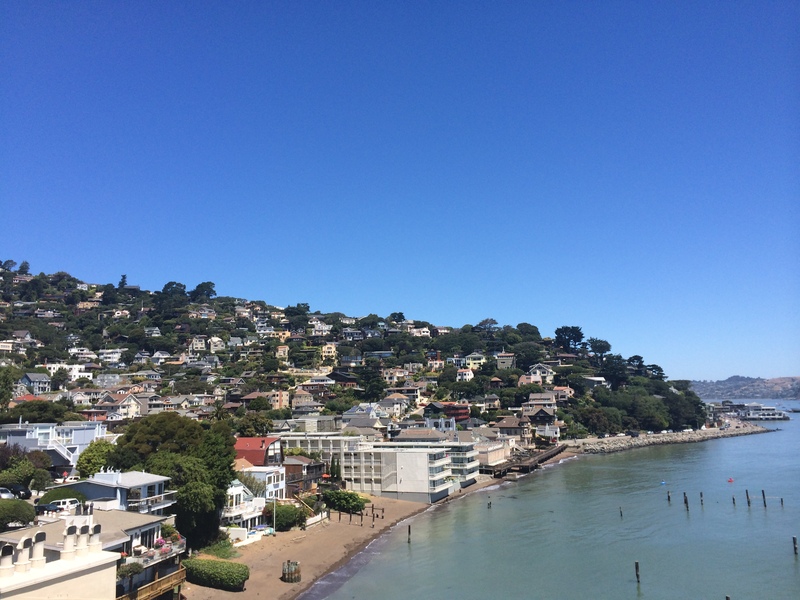 My exposed and hilly course began affecting me in Sausalito, although the picture-perfect conditions made for a distracting run and I maintained a steady pace up and down the hills. Marathon training really warps your perception of distance. As soon as I hit 10 miles, I reassured myself that I “only” had nine miles to go. I start counting down miles when I hit single digits as a way to motivate myself. 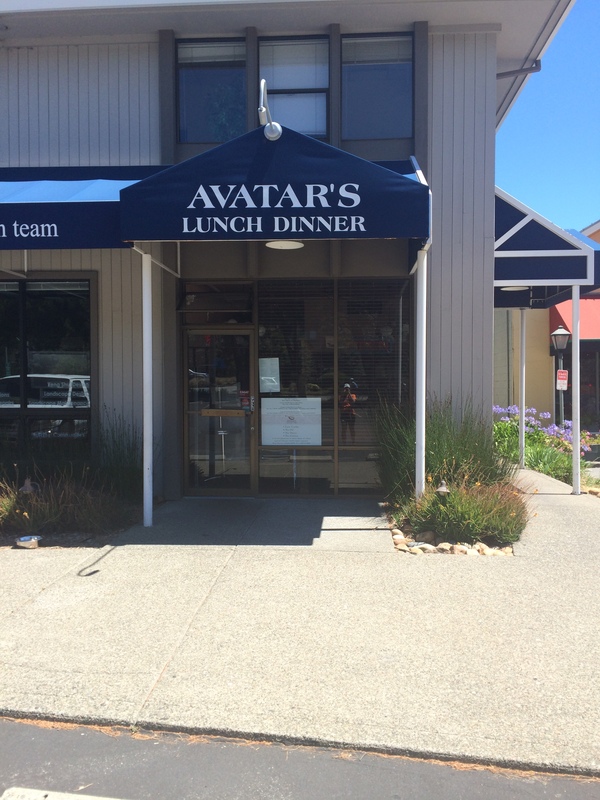 My turnaround point happened to be Avatar’s, a delicious Indian/Mexican fusion restaurant that served us “the best meal of our lives,” according to the owner, the night before the SF Marathon. I learned that Avatar’s is exactly 10 miles from our apartment. During my run home, I really started feeling the hills (especially the hill from below the bridge in Sausalito to the path along the bridge) and the heat. The last couple of miles home from the bridge to Marina Safeway were brutal, but I made it through with just over a 10 minute/mile average for the 19 miles, for 3 hours and about 13 minutes of running. I ended the run with a little foam rolling and stretching and an ice bath with the accompanying hot tea and beer combination. I have patches of sunburn on my arms from where the sunscreen sweated off, but I escape mostly unscathed save for mild tightness in my legs. I’m convinced that the ice bath is key to long run recovery; every time I choose to torture myself for the requisite 15 minute soak, my legs thank me by working the next day. I am so looking forward to the long weekend ahead (and finishing my last long run – 20 miles – on Friday and celebrating on our roof with fireworks for America’s birthday)! Great work. It is funny how our sense of mileage gets warped. I also think it is funny when you think you ONLY have 15 miles this week. It sounds kind of sick. You are so brave to ice bath, I am such a wimp and just can’t do it. I even whined soaking my Achilles. Awesome job! Amazing job!! That is such a gorgeous run! Half way, no matter the distance, and your almost done. I have a 147 km ride tomorrow. Once I get to 75, I am on the way home. Funny how the mind works. Yes! Precisely. That is an insane distance. Good luck! Great job! My last trip to Sausalito I remember getting some lovely ceviche at a Mex joint. I’m quite sure I was feeling better then than you did on your run through there! 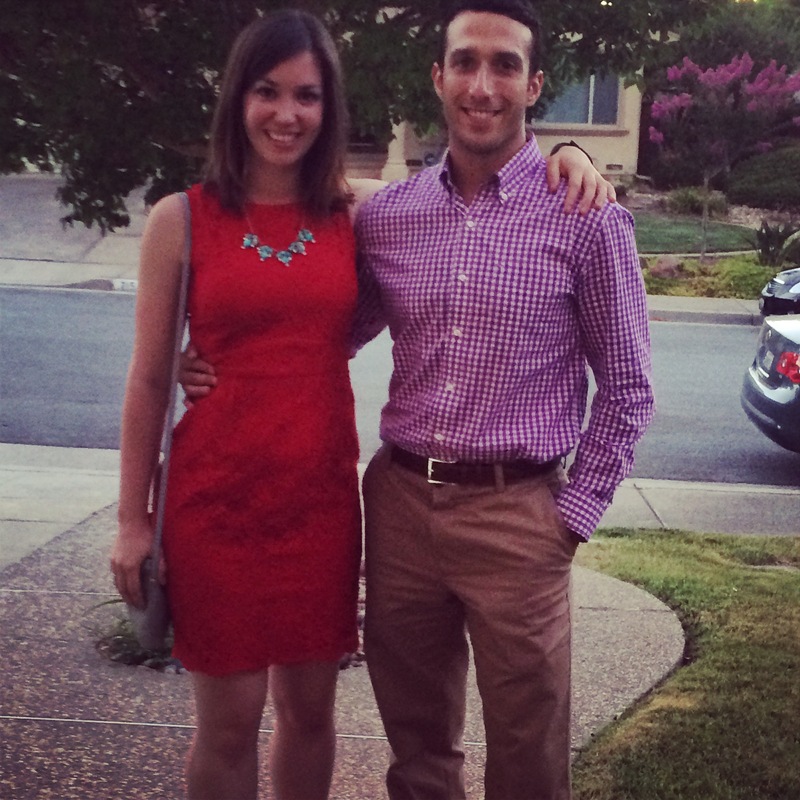 PS y’all clean up nice! Cevice + beer = happiness. And thank you! Great run! You are going to kill the SF Marathon. Aww thanks Trish! Hope you’re feeling better soon! Oh it looks like a lovely place to run in! That ice bath sounds too cold. I’d give it a go but I don’t think I could! Great work! You got it done!! I think ice baths are a great recovery tool. They are miserable but help greatly!! Good luck with your 20. I am sure it will be awesome!